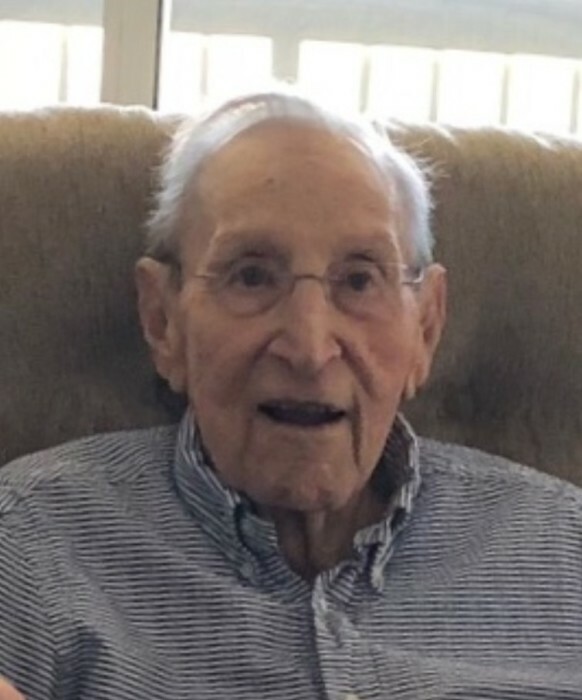 It is with a full heart that Robert Kuhns, of Ponte Vedra Beach FL, previously of Elm Grove WI, leaves his family and friends of 93 years. Having lived a wonderful life, Bob is delighted to be reunited with Esther (Walendowski) Kuhns, the love of his life and his wife of more than 71 years. Bob was born on January 23, 1925 in Chicago IL, the third child of Sheldon and Irene Kuhns. Moving to Wisconsin when he was 18 months old, he had a delightful childhood, growing up in Whitefish Bay, attending Saint Monica’s grade school and Whitefish Bay High School. He was on the varsity football team and maintained his lifelong enthusiasm for the game (Go Packers!). In 1942, during the height of WWII, Bob dropped out of high school his senior year and enlisted in the US Marine Corps. He was proud to be a Marine and served in the South Pacific as a Radar Technician. Following his discharge from the USMC in February 1946 and thanks to the then recently passed GI Bill of Rights, Bob enrolled at Marquette University’s School of Engineering. Shortly after enrolling at Marquette, Bob found Esther. Family lore, as told by Bob and Esther, is they were a match made in heaven and met eons ago while sitting on the same cloud. Once they found each other on earth, they married and so began their heaven on earth. Within three years, Bob received a BS Degree in Electrical Engineering from Marquette University and he and Esther had 2 children, Kathy and Mark. Upon graduation in the summer of 1949, Bob began his career as a Manufacturing Engineer with Seaman Body, a division of Nash Kelvinator, later American Motors. While at Seaman Body, Bob continued his education and received a Masters in Mechanical Engineering from the University of Wisconsin – Madison. The principles he developed in his Master’s thesis on automated paint application were use to saved significant costs for Seaman Body. By the end of 1953, with the addition of three children, Robin, Barbara and Tom, Bob and Esther’s family was now seven. They bought their first house in St. Francis, a rapidly growing suburb of Milwaukee. Across the street was the Fire Department, so Bob served as volunteer fireman until being appointed a director on the Fire and Police Commission. He was also the Deputy Director of Civil Defense. He was elected to the School Board and was its chairman during the last two years of his term. Bob continued progressing his career with positions at General Electric and John Oster Manufacturing. When John Oster Mfg. was sold to Sunbeam in 1961, he joined Hammond Organ in Chicago IL. At Hammond Organ, Bob was Manager of Manufacturing, which encompassed four plants and twenty-five foreman. Taking advantage of the tuition reimbursement benefits at Hammond, Bob earned an MBA in the Executive Program at the University of Chicago in 1965. Bob joined the Kelley Company based in Milwaukee in 1965 and the family moved to Elm Grove WI. Bob became president of Kelley Company and was instrumental in Kelley becoming one of the nation’s first Employee Stock Ownership Companies, an ESOP. As its Chairman and CEO, he led the Kelley Company during an exciting period of growth with joint ventures formed in the Netherlands, Lichtenstein, Germany, Australia, New Zealand, Japan, Hong Kong and Singapore. Bob retired from Kelley Company in 1991, and returned to volunteering and started mentoring. He worked as a District Commissioner with United Way and was on the board of several companies. Most notable, he donated his time and expertise as Chairman of the Board of Wiscraft Inc., a nonprofit manufacturer and employer of last resort for people who are visually impaired and legally blind. In 2004, Bob and Esther left the cold of Wisconsin and moved to Ponte Vedra Beach FL. There, he continued his volunteer work and mentoring. A lifelong natural raconteur, Bob entertained friends and families with his life stories which he eventually self-published in two limited edition books and several short stories. 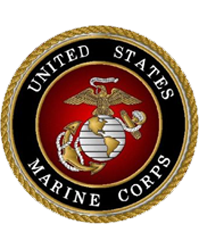 The first was a book on Bob and Esther’s family trees in which he combined genealogy with family anecdotes and stories of relatives, childhood, USMC service, work and marriage. His second book “Met in Heaven” was the story and snapshots of his life with his true love, Esther Kuhns. In 2015, Bob celebrated his 90th Birthday with a family reunion of his entire Kuhns Klan during which Esther exclaimed “I can’t believe I married such an old man”. Bob was pre-deceased by Esther Kuhns his wife of more than 71 years, his parents Sheldon and Irene Kuhns, his sister Patricia Pieper, his brother Sheldon “Billy” William Kuhns Jr. His sister Mary Carol Jasinski is the sole survivor of Shel and Irene’s children. Bob’s oldest son Mark Kuhns (Marie) died in 2010. Surviving children are Kathy Cavers (Tim), Robin Kuhns (Ken McArthur), Barbara Kuhns, Tom Kuhns (Donna). Bob also has 8 grandchildren and 17 great grandchildren. Devoted to his wife and family, Bob was a kind and gentle man with a wonderful sense of humor. Bob was dearly loved and will be deeply missed by his family and friends. Graveside services will be held at the Holy Cross Cemetery in Milwaukee, Wisconsin at 11:00 a.m., Saturday, Sept. 1, 2018. Becker-Ritter Elmbrook Funeral Home is in charge of arrangements, Brookfield, WI (262) 782-5330. In lieu of flowers or donations, the family asks that you hug those nearest and dearest to you in his honor.